Montrose is less than 10 minutes from Downtown and 12 minutes from the Galleria and sits on the edge of Midtown and the Museum District. 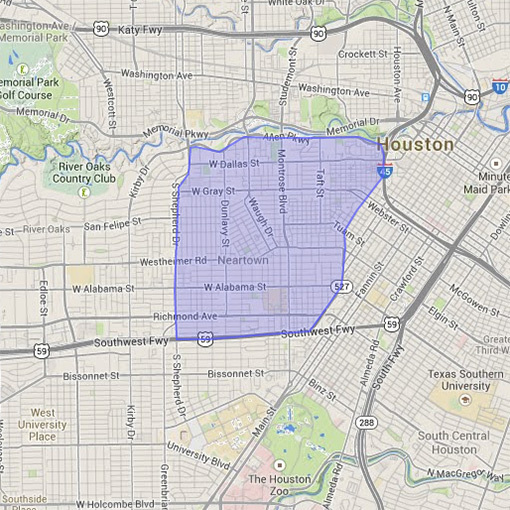 The Montrose is home to the Menil Collection, Rothko Chapel, beautiful Bell Park and the MFA’s sculpture garden. Great night life with close knit neighborhoods, the Montrose area is a great place to call home.